You can trust the skilled Lorne Park Dental team to help improve your smile with strong, durable, natural-looking crowns. A crown is essentially a shell that is placed over a weak tooth to strengthen and reinforce it. Crowns are often the treatment of choice for weak teeth, as opposed to fillings, because they strengthen and reinforce the tooth’s structure, protecting it in ways that a regular filling cannot. 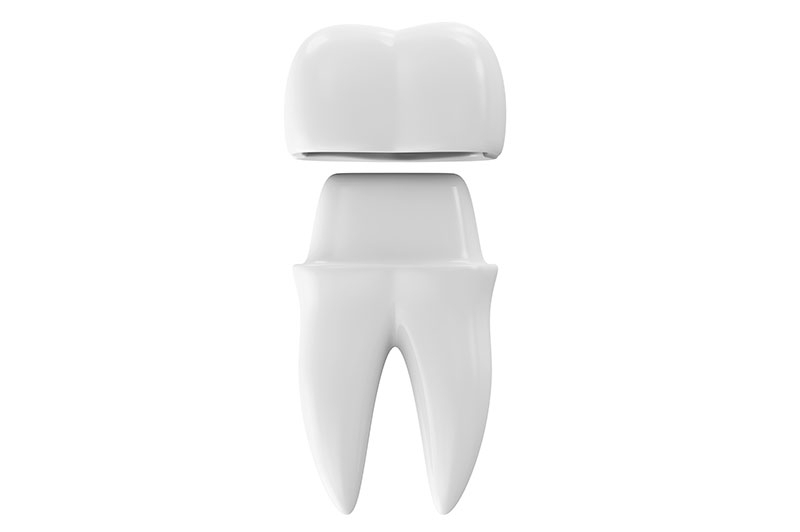 Three main types of materials are available for crowns, including gold, porcelain fused to metal, and pure porcelain. Material choice is based on a number of factors, including aesthetics and location in the mouth. Crowns are highly durable and can last many years, depending mostly on the amount of usage that they are exposed to and how well they are cleaned at home. What’s involved in having a crown made? Having a dental crown made will require two appointments. Your initial visit will involve removing any decay as well as preparing and shaping your tooth so that it can accept a crown. Impressions will be taken of your upper and lower teeth. These are sent to a dental laboratory which is responsible for fabricating the crown. In the meantime, a temporary crown is made here in the office to wear while the permanent crown is being fabricated at the lab. After this process is complete you are ready for your second appointment about two weeks later. At that appointment we remove the temporary crown and replace it with the new, permanent crown which is securely cemented into place.